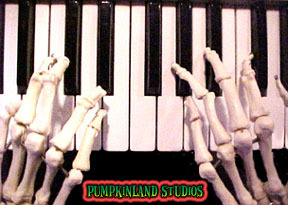 Pumpkinland Studios offers custom audio tracks for any application. Music or mayhem, creepy atmos'fear'ics or beautiful soundtracks, country, r & b or heavy metal, we can do it all. We've done work for radio, film and television. We've had the pleasure of working for Pirates of Emerson, Devious Concoctions, Eastern Animatronics, Ra-Dev.com, Frightworld.net, Apple Computers, Wankin' Woo Woo Productions, IconAcrafT, and Hauntorama.org.